More than 50 people attended the public meeting at Town Hall last night to discuss the future of 150 Emmons Street, the former Town Hall and current home of the Recreation Department. FRANKLIN — Residents on Tuesday saw several conceptual designs for the redevelopment of the former town hall, including detailed proposals with parks, cafés, offices, retail shops and performance spaces. More than 50 people attended the workshop on what exactly should happen to the less than 1-acre piece of land at 150 Emmons St., considered by town officials to be an "important gateway" to the downtown. Hoping to come away with ideas that will drive their decisions for the space, Town Councilors also sat in on the nearly two-hour meeting. To read the rest of the Milford Daily News story please click here. 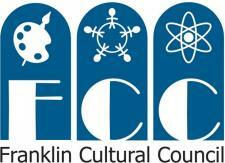 Steve Sherlock also covered the meeting via a live report on Franklin Matters. Thank you to everyone who attended and voiced opinions about this important development issue. The matter will be discussed Thursday morning as part of the General Meeting agenda. The public is welcome to the meeting, which will take place at 8:30 a.m., March 6, at the Dean College Campus Center, Golder Room.